Almost every family has traits they pass down from one generation to the next. You might inherit Uncle Ernie’s strong nose, or Grandma’s acid wit; it’s all just a part of your family tree! Of course, in some families, you just might inherit a more unusual trait, as we saw with these two long-lost brothers who identified one another by their similar noses. 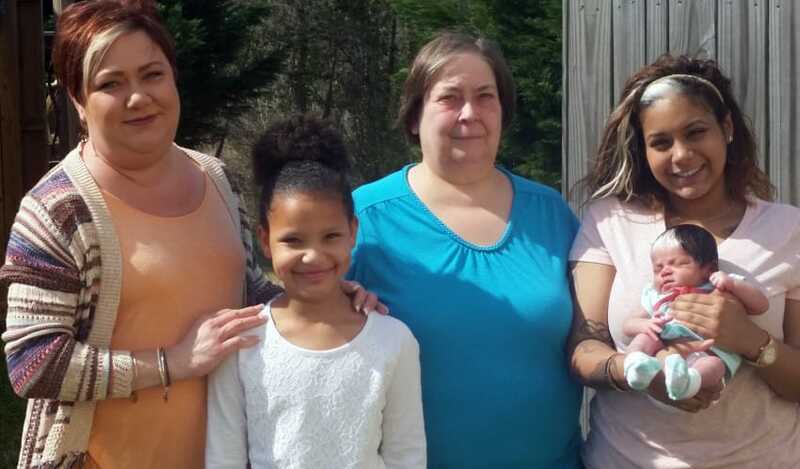 For one mom and her young daughter, the unusual trait they share is also a proud family tradition: At least four generations of women in their family have had a striking white streak in their hair, the hallmark of a distinctive birthmark. 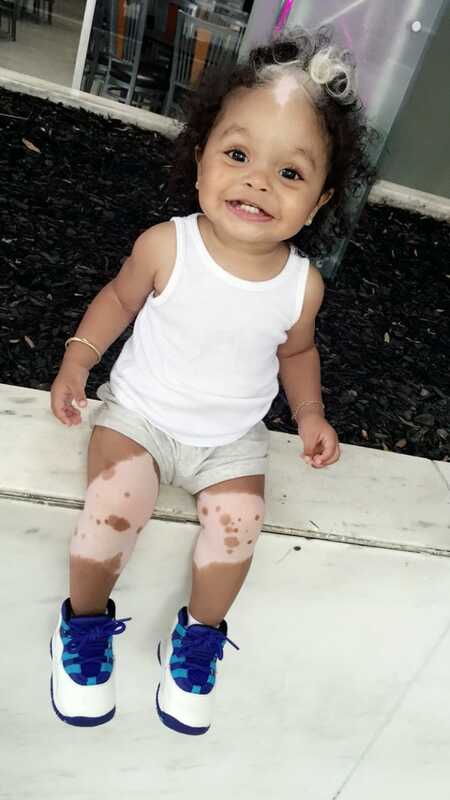 South Carolina mom Brianna Worthy knows better than anyone that her baby girl’s birthmark makes her unique, because it links all the ladies in the family. Scroll through below to learn more about their unique family history and the beautiful and distinctive birthmark the women in their family share. Brianna Worthy, a mom from Ridgeland, SC, knows better than anyone that family traits can really trickle down through generations. That’s because Worthy has a distinctive white streak in her hair, one that’s essentially a family tradition at this point. It looks like an artistically bleached hairdo at first glance, but it’s actually a part of her genetics. In fact, it’s pretty plain to see in her baby girl, MilliAnna. MilliAnna, now 18 months, shares Mom’s unusual hair coloration. Her hair is almost entirely made up of dark brown ringlets, except for the shock of bleach-white curls dipping down over her forehead. The baby girl has had the distinctive stripe in her hair since she was just a newborn. 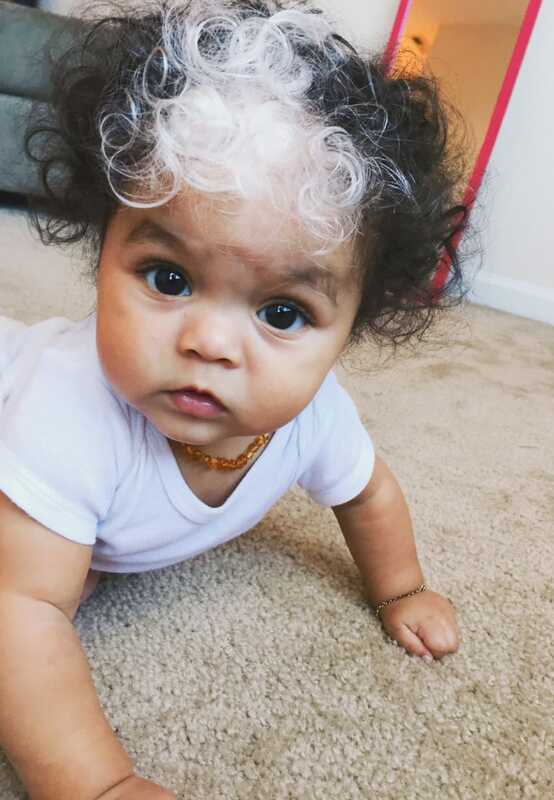 The distinctive trait is called poliosis, which caused MilliAnna to be born with a small patch of pigment-free skin on her forehead and scalp. The lack of pigment extends to her follicles, and causes her hair to grow in colorless in that patch. MilliAnna is in very good company! 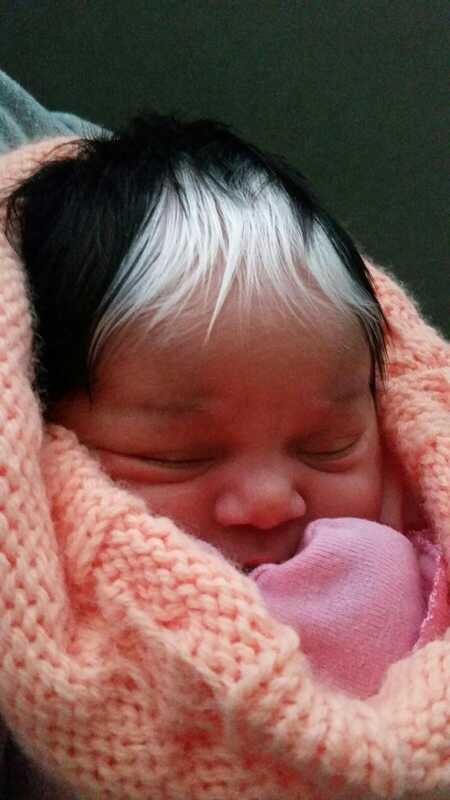 The white streak is a family trait that stretches back generations, passed down from mother to daughter. In addition to MilliAnna and mom Brianna, grandma Jennifer and great-grandmother Jaonne also share the bleached streak. While the family knows for sure that the birthmark stretches back at least four generations, it may go back even further! Jaonne, great-grandmother to MilliAnna, was adopted as a little girl. She doesn’t know if her biological mother or grandmother also shared the trait. MilliAnna’s poliosis birthmark comes with a few additional markings, but they’re all part of her own special beauty. 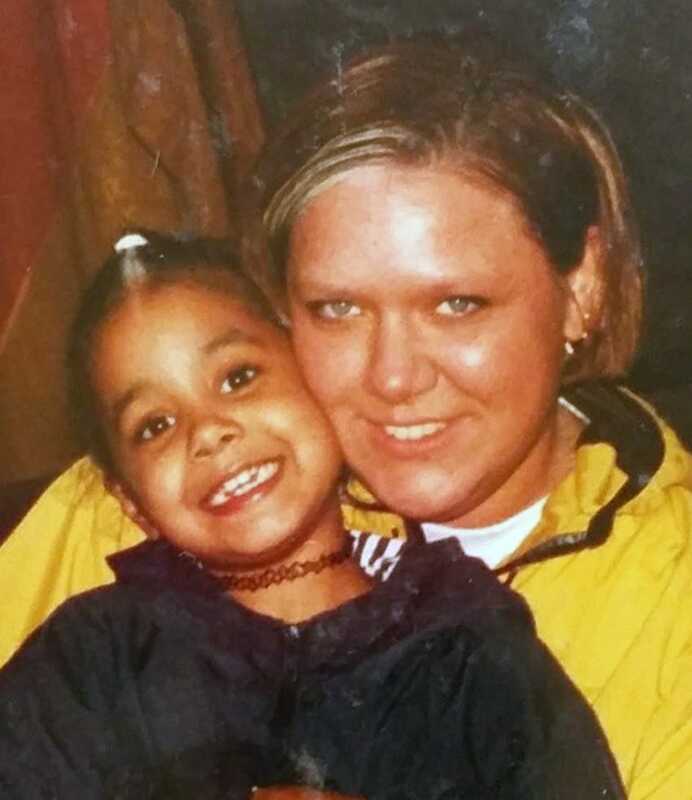 Mom Brianna acknowledges that she was sometimes bullied and called “skunk” for the stripe as a child, but she’s glad that her daughter shares it. The birthmark skipped Brianna’s younger sister, so she was delighted when she saw her newborn daughter and realized she had it too. 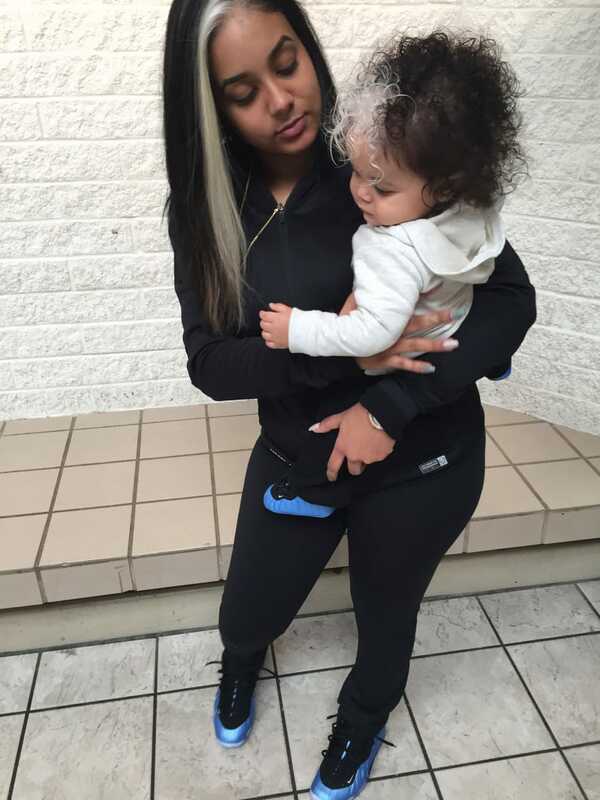 In any event, Brianna plans to encourage her baby girl to love what makes her different. “Sometimes it would bother me when I was younger, but I grew to end up really loving it in my hair and was confident that it was my own unique signature look,” she tells Caters. 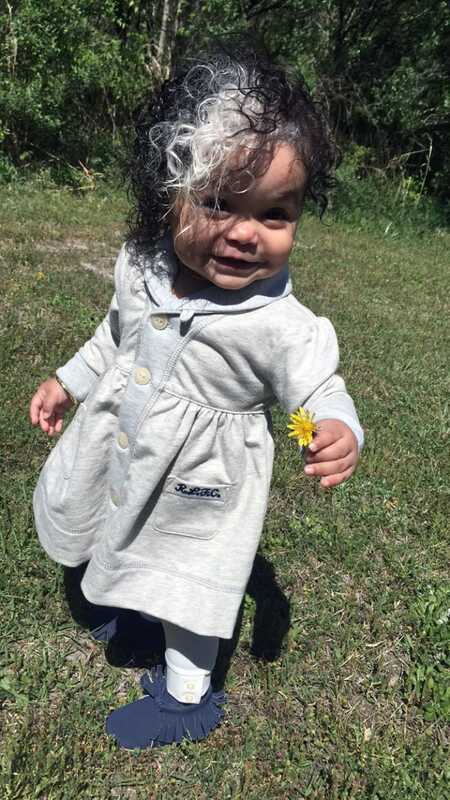 We agree with Mom: Little MilliAnna is beautiful the way she is! Plus, very few little girls have such a beautiful and powerful inheritance from the women who came before her! If you love this distinctive trait passed from mother to daughter, please make sure to SHARE with every mama and grandmama you know!